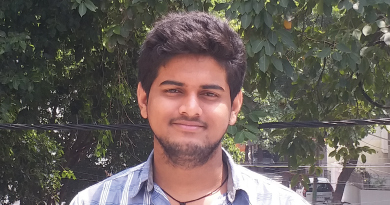 About the Author: ‘Try, try again till you succeed’ is a statement that defines Pavan B Thotad, a student of FORE School of Management, New Delhi. He talks about his wonderful journey at United Biscuits. It was the season of summer internships and we were on a constant quest to grab one. I had been rejected by all six companies I had applied to after the first round which was a group discussion. No, I wasn’t disheartened instead each time I was rejected, I came home, noted down the errors I had made and worked my way through them. It was November when United Biscuits, Pladis Global, visited our college. This was an opportunity to land a job with them since they offered PPOs to their top performing interns hired through the Summer Internship Process (SIP). Another exciting thing was the choice of location which was preferably one’s home town. During the pre-placement talk, Abhishek Sharma, CEO of United Biscuits, addressed the students who had applied for the internship and informed that it would be a tough job so we could choose accordingly. Most of the students left the room but few of us stayed, ready to embrace the challenge. The selection procedure involved a group discussion followed by an interview. It is vital to stay updated with current affairs when you are subjected to group discussions so frequently. The topic for our discussion was ‘Orange is the new black’. We had the creative freedom to draw our own analogies of the colours. Some of my batchmates compared orange to BJP and black to black money and presented their views on how BJP intended to curb black money with demonetisation while others compared black to crude oil, black gold, and discussed the oil supplies of Arabic countries. I drew an analogy between Donald Trump and Barack Obama and talked about the political, economic, social, and military policies implemented by both of them. Tables turned with the confidence and skills that I had acquired, and I got selected for the next round. The next round was a group interview wherein two candidates were given a topic to debate on and one of them was eliminated. My opponent had worked as a deputy general manager in Bank of Maharashtra; this tripped my confidence for a moment, but I knew this was the time to prove my mettle. We were to debate on the topic Socializing in real life versus socializing on social media. For the first ten minutes, I presented my views in favor of the latter elucidating how a vast database of online users is of an advantage. Then, we were asked to switch our grounds; I talked about how social media was just visuals and texts while socializing in real life could be empathetic and problem-solver. Guess what, I was hired as a sales and distribution intern! During my tenure of 2 months, I was associated with McVitie’s biscuits. My job was to manage and enhance the sales of a particular area in Bangalore and increase the market share of the company with rest of my team. I used to report at 10 am, visit 40 outlets with the sales executive, take orders, and report the same to the distributor. I would go home, make a report of daily progress, and generate SIP report. I had an industry mentor and a faculty mentor to whom I reported every Wednesday. His particularity about being punctual inculcated a sense of responsibility in me. He wanted a perfect report, so I followed his instructions carefully. His guidance kept me structured and focused throughout the internship. I also explored the ground realities of the FMCG sector. I maintained detailed records of my interactions with retailers, sales executive, and distributors about McVitie’s biscuits, which helped me design my research questionnaire and complete my report. By the end of the first month, I had identified significant problems and started writing my report with a substantial amount of secondary research I had done. The topics of my research were ‘Distribution Benchmarking of McVitie’s Biscuits with Britannia Biscuits’ and ‘Evaluation of Brand Awareness of McVitie’s Biscuits’. Both the topics involved the market survey I did during my market visits. I also set up a stall of Mcvitie’s biscuits for a week as a promotional activity to increase brand awareness. I chose the time slot from 6 am to 9 am since this was a viable timing and had maximum footfall (number of people visiting the stall). After this, I would continue with my daily routine which resulted in too much work and too less sleep. I generated 25% more revenue than what company generated through its traditional sales. My project report included strategies for finance, HR, operations, and marketing along with the need to generate more effective strategies for sales of the company. I had also integrated my previous learning into my summer internship report. On the last day, I presented my report to the national sales head of the company and received appreciation. The area sales manager had also written a recommendation for me in company’s intern assessment sheet. A couple of weeks later, I received the PPO from United Biscuits and as the joy of accomplishment gushed through me, I was certain that the sleepless nights were all worth it! Inspired by Pavan’s journey? Don’t hold back; keep going. Check out these latest marketing internships. Awesome. It was a delightful read throughfare. Keep up the good work man. Its indeed an Inspiring internship story, reflects your dedication. Very helpful thank you Pavan for guiding us through a journey. I must say these are really awesome experience and following these tips will surely get huge success.